After a nice, long run along the Thames today, I returned back to the flat ravenous and craving a large amount of food. My flatmate Tracey and I decided to visit the nearby Farringdon Grill for supper. I had noticed the little spot earlier in the week and was impressed by the quality (and quantity!) of the ready-to-grill kebabs on display, as well as the friendly and detailed explanation of the menu by the young man working there. So, post-run and post-shower, I found myself deciding what kebab to get. 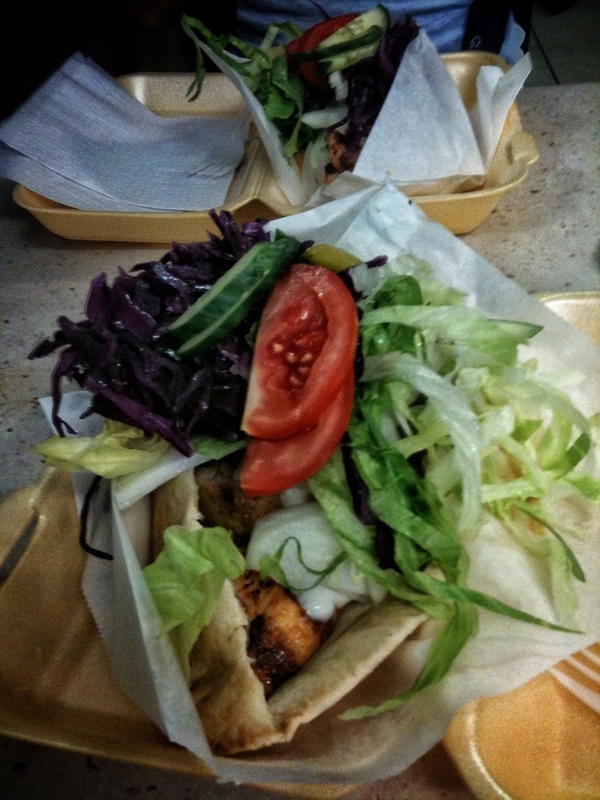 I opted for the large, which allotted me two kebabs in my pita with vegetables and sauce. 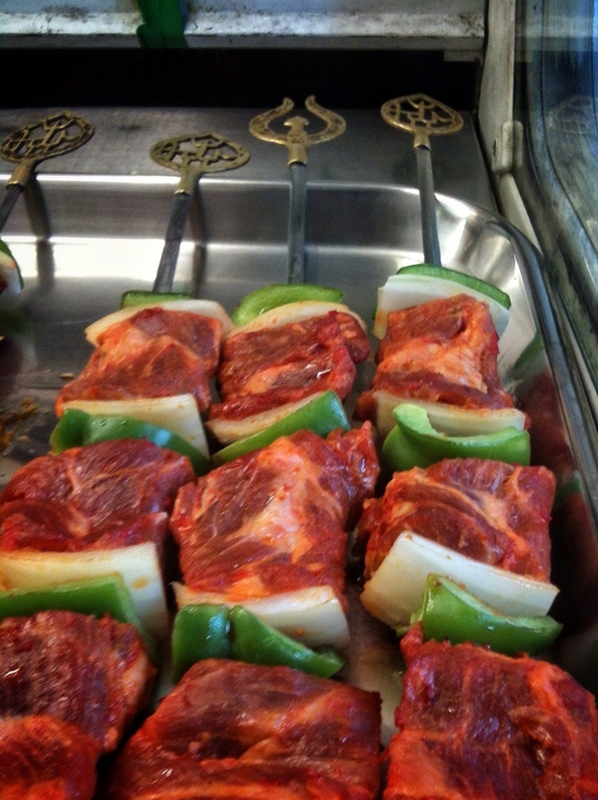 I opted to try one each of the lamb and the chicken kebabs. They were then grilled right in front of me, with the aroma of the freshly roasting peppers, onions, and marinated meat drifting through the air, further inducing more hunger. The grilled meat and vegetables were then piled into a fresh pita, and further fresh vegetables (cabbage, cucumber, tomato, & lettuce) were added on top with spicy sauce and garlic mayo. I bit into the massive stuffed pita, and was rewarded with tenderly roasted large pieces of chicken and savory lamb. 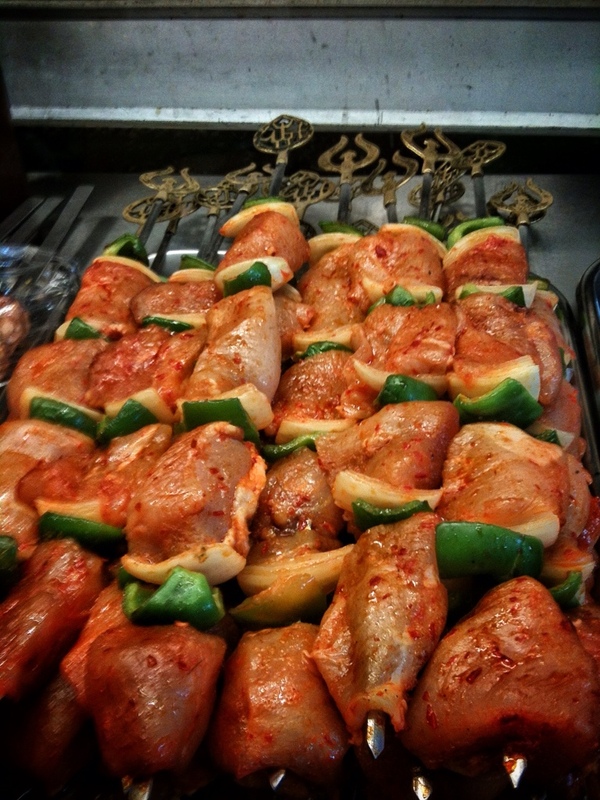 The marinade had soaked into the meats so perfectly, giving them a juicy, flavor-filled taste. The vegetables helped tone down the intense flavor of the meat, and the pita helped keep it all together for the great meal. The Farringdon Grill provided a hefty meal for a phenomenal price point. It's nice to find a local family-owned restaurant with inexpensive food and friendly service.